SAN ANTONIO (CN) – The American Civil Liberties Union followed through Tuesday on its threat to sue the Trump administration for not releasing a disabled, undocumented 10-year-old Mexican girl who was arrested by Border Patrol agents last week at a Texas hospital. Representing Rosa Maria Hernandez and her mother, Felipa De La Cruz, the ACLU sued U.S. Department of Homeland Security director Elaine Duke, Office of Refugee Resettlement Director Scott Lloyd and several other federal officials on Tuesday afternoon in San Antonio federal court. The habeas corpus petition, signed by ACLU attorney Edgar Saldivar, seeks an injunction ordering the Office of Refugee Resettlement to immediately release Hernandez, who suffers from cerebral palsy, from Baptist Children’s Home Ministries, a home for orphaned and migrant children in San Antonio, to her parents. Border Patrol agents took her there on Oct. 25 after arresting her at a Corpus Christi hospital where she had undergone gall bladder surgery. The lawsuit follows up on a demand letter the ACLU sent government officials on Monday, threatening to sue them Tuesday if Hernandez was not released from custody to her parents. A spokesperson for the Administration for Children and Families at the U.S. Department of Health and Human Services said Tuesday that it does not comment on specific cases, to protect the privacy of children. According to the lawsuit, a U.S. Customs and Border Protection spokesperson told a news outlet that the agency, which includes the Border Patrol, was required to arrest Hernandez after they stopped the ambulance taking her to Corpus Christi on Oct. 24 at a checkpoint 34 miles west of Laredo and found she did not have identification or documents to show she has lawful status to be in the United States. “Recent guidance by the Department of Homeland Security makes clear that agents retain the authority not to seek the deportation of individuals they encounter on a case-by-case basis, and sets forth procedures—specifically, consultation with senior CBP officials—for the exercise of prosecutorial discretion,” the lawsuit states. The ACLU’s demand letter says the girl’s 34-year-old cousin Aurora Cantu rode with her in the ambulance and persuaded Border Patrol agents to let them go to the hospital after she gave them medical records to prove Hernandez was going to have surgery. The agents stayed in the hospital even after hospital staff told them to leave, and told Cantu she was free to go, but there were two options for Hernandez: “Rosa Maria’s mother could agree to Rosa Maria’s immediate return to Mexico through ‘voluntary departure,’ or Rosa Maria would be arrested and held in a detention center,” the ACLU claims in the letter. With Hernandez in pain after her surgery, hospital staff held her in a recovery room overnight and Border Patrol agents stood guard at her door until she was discharged. “They physically took her into custody, directly from her hospital bed, on October 25, 2017. The agents did not obtain a warrant before taking Rosa Maria into custody,” according to the ACLU. The agents “detained her as an ‘unaccompanied child'” and took her to the Baptist Children’s Home Ministries, a home for orphaned and migrant children in San Antonio, the group says. Hernandez’s mother says in the lawsuit that the Border Patrol agents did not get written permission from their boss to follow her to the hospital and arrest her there. “Rosa Maria has never been separated from her parents before. Her medical condition requires constant attention, and she is completely dependent on her mother,” the demand letter states. The civil rights group says Hernandez misses her classes at the elementary school she attends and her sisters, whom she plays with every night outside their Laredo home, which is more than 150 miles from the San Antonio shelter. The ACLU says her mother makes up games for her and her sisters designed to improve her strength, activities recommended by her physical therapists after she was diagnosed with cerebral palsy. Despite protests on Monday over Hernandez’s detention at the San Antonio office of U.S. Sen. John Cornyn, R-Texas, the government has moved to deport Hernandez. “CBP has issued a ‘Notice to Appear’ against R.M.H. The Notice to Appear is a charging document that initiates immigration court proceedings to remove a noncitizen from the United States,” her mother says in the lawsuit. De La Cruz claims in the lawsuit that the government’s authority to detain minors facing deportation is banned by the Homeland Security Act of 2002, William Wilberforce Trafficking Victims Act of 2008 and a consent decree in the case Flores v. Reno, which the U.S. Supreme Court said in 1993 was needed to ensure undocumented juveniles are put in facilities providing appropriate care. She also claims her daughter’s detention violates the girl’s Fifth Amendment due process rights. The ACLU just resolved another legal battle with the Trump administration over the Office of Refugee Resettlement’s refusal to release an undocumented 17-year-old from a migrant shelter in Texas to undergo an abortion. The woman, identified as Jane Doe, had the procedure last week after the D.C. Circuit ruled by a 6-3 vote that the government cannot block an undocumented 17-year-old from having an abortion. Texas Attorney General Ken Paxton said in a statement after Doe’s abortion that the D.C. Circuit’s ruling “could pave the way for anyone outside the United States to unlawfully enter and obtain an abortion” and that the ruling violated U.S. Supreme Court precedent. Texas Republican leaders have been staunch advocates of President Donald Trump’s anti-immigrant policies. 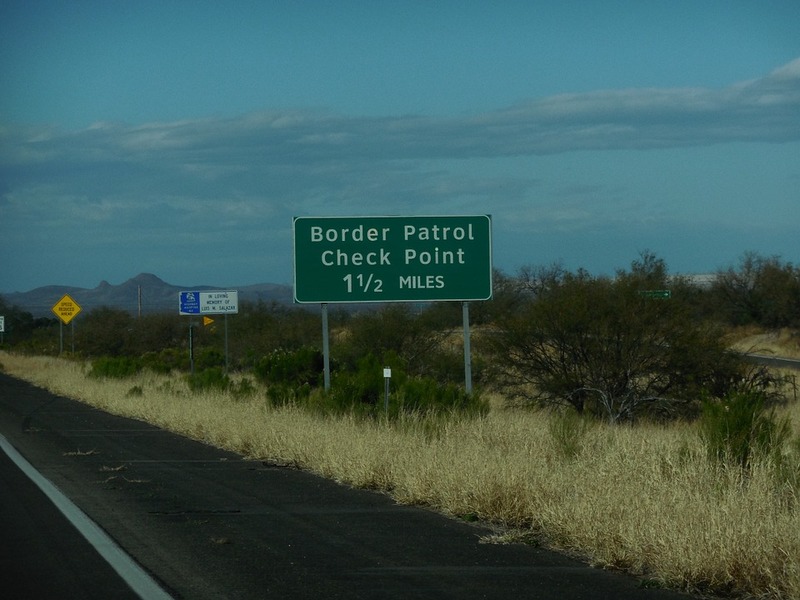 They passed a law this spring that requires local police to hold arrested immigrants, who have been flagged by federal immigration officials for being in the country illegally, and authorizes police to ask people about their immigration status during traffic stops. The Fifth Circuit has stayed part of the law that sets out criminal penalties for law enforcement officials who don’t cooperate with federal immigration authorities, pending a Nov. 6 hearing in New Orleans.